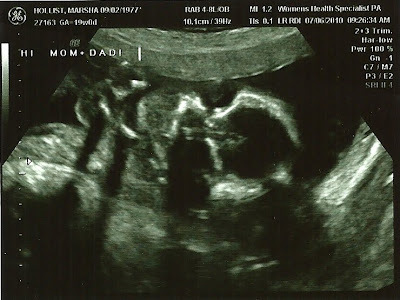 At our 18 week sonogram we found out we are having a healthy baby BOY. Yes I was hoping for a girl, but am very excited for a boy. Seth says we will just have to try again...AHHHH! Now I better get going on the items I want to make for this new little baby.